Don’t forget this weekend is the Luau Fundraiser for the Clint Bolt, Candidate for National Commander for the Sons of The American Legion campaign. It is time gain for Virginia to shine and have yet another National level leader come from among our ranks. So, lets get out there for some Luau fun and at the same time help the campaign. 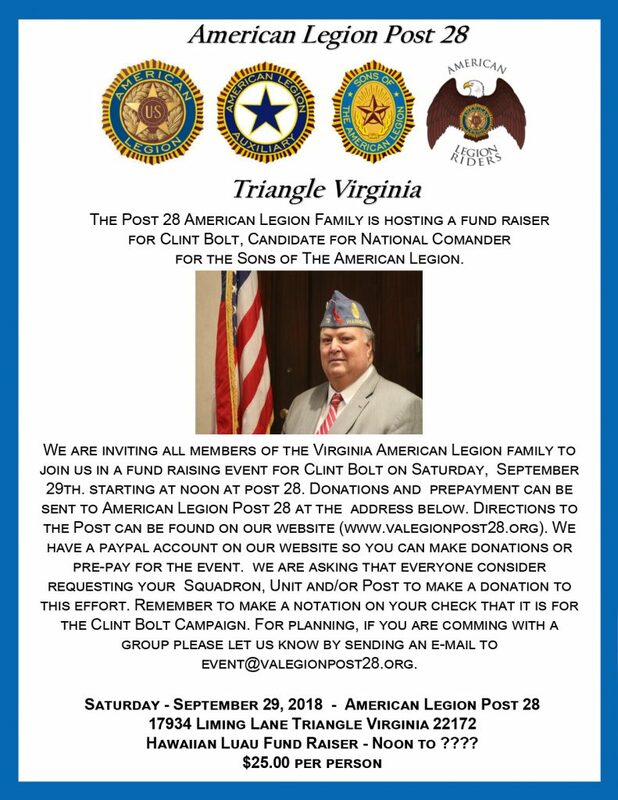 If you cannot prepay, please send at email to event@valegionpost28.org letting them know you will be attending the event.